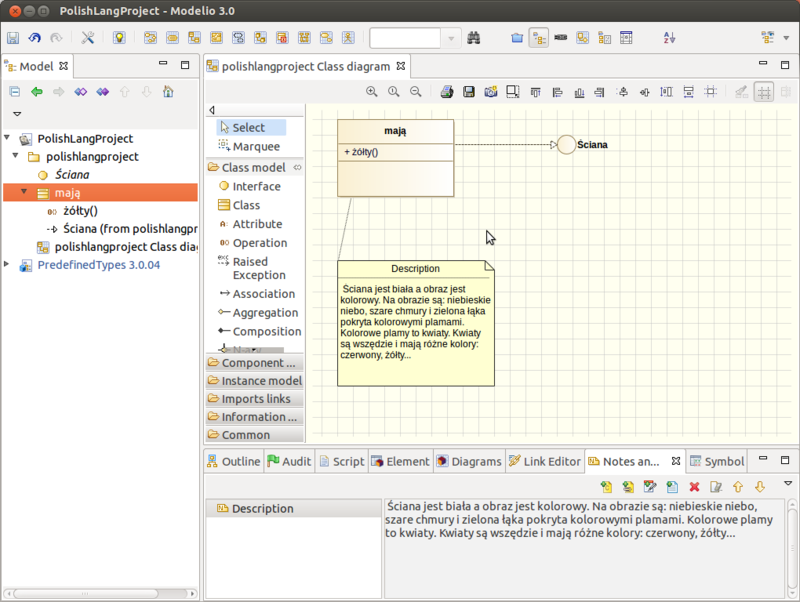 It'd be very nice if i could use my native language (Polish) while drawing Use Case diagram. I wonder if there is any way I can i.e. name my actor Uczeń or use other polish letters like: ą ę ł ó etc. in my UC Diagram. Actually Modelio uses only the Windows-1252 charset on Windows and the ISO-8859-1 charset on Linux cf this post . An evolution of Modelio is neccessary in order to support utf-8 and it has already been registered here . Maybe in a future version . Thanks for your answer. Hope future version with language support will be released as soon as possible. Your wish has been fulfilled! Last Edit: 5 years 7 months ago by osl.